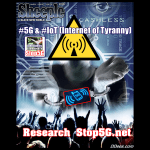 Posted by admin & filed under 5G Accountability, 5G Cancer, 5G Cover Up, 5G Crisis, 5G Health Risk Assessment, 5G Health Risks, 5G Liability, 5G News, EHS, Electro Hypersensitivity, Electromagnetic Warfare, EMF Technology, Microwave Radiation, Mobile Phone Hazard, news, Science, Stop5G, Stop5G Activism, Stop5G News, Stop5G Related!, Stop5G.net, WiFi Radiation. Science: Radiofrequency Electromagnetic Fields & Health! – Is Mass 5G Rollout Safe? 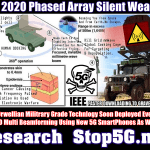 Posted by admin & filed under 5G Accountability, 5G Cancer, 5G Cover Up, 5G Crisis, 5G Health Risk Assessment, 5G Health Risks, 5G Liability, 5G News, EHS, Electro Hypersensitivity, Electromagnetic Warfare, EMF Technology, Military Grade Technology, news, Science, Stop5G Activism, Stop5G News, Stop5G Related!, Stop5G.net, Surveillance Society, WiFi Radiation. 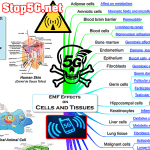 Multiple #5G Dangers! On So Many Levels. Beyond Orwellian Military Technology! Posted by admin & filed under 5G Accountability, 5G Cancer, 5G Cover Up, 5G Crisis, 5G Health Risk Assessment, 5G Health Risks, 5G Liability, 5G News, 5G Transhumanism, Anti-5G-Protest, Beyond Orwellian, Chemtrails, EHS, Electro Hypersensitivity, Electromagnetic Warfare, EMF Technology, Health Hazards, Mass Cutting Trees, Microwave Radiation, Military Grade Technology, Mobile Phone Hazard, news, Science, Solutions, Stop5G, Stop5G Activism, Stop5G News, Stop5G Related!, Stop5G.net, Surveillance Society. Depression? 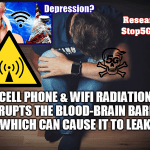 Cell Phone & WiFi Radiation Disrupting Blood-Brain Barrier Play a Role? Posted by admin & filed under 5G Accountability, 5G Cancer, 5G Cover Up, 5G Crisis, 5G Health Risk Assessment, 5G Health Risks, 5G Liability, 5G News, 5G Safety Code, EHS, Electro Hypersensitivity, Electromagnetic Warfare, EMF Technology, Generation Zapped, Health Hazards, Interviews, Microwave Radiation, Military Grade Technology, Mobile Phone Hazard, news, Science, Stop5G, Stop5G News, Stop5G Related!, Stop5G.net, WiFi Radiation. 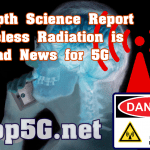 Posted by admin & filed under 5G Accountability, 5G Cancer, 5G Cover Up, 5G Crisis, 5G Health Risk Assessment, 5G Health Risks, 5G Liability, 5G News, EHS, Electro Hypersensitivity, Electromagnetic Warfare, EMF Technology, Health Hazards, Microwave Radiation, Mobile Phone Hazard, news, Stop5G, Stop5G News, Stop5G Related!, Stop5G.net, WiFi Radiation.